Avocado is having its moment and has been for a long time now — from avocado-based restaurants to avocado toast, we’re obsessed. Now, we have an avocado toast-inspired candy bar to add to the list. 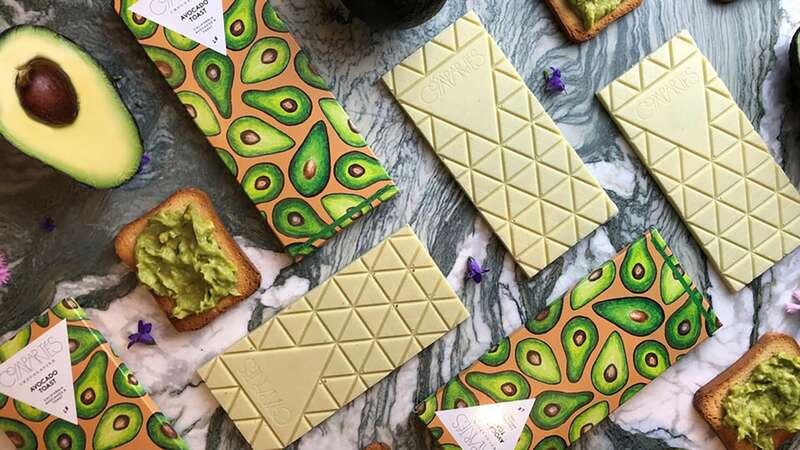 Los Angeles-based gourmet chocolatier Compartés has created an avocado toast-inspired chocolate bar, and it’s nothing short of brilliant. Many of us have already been adding avocado to recipes like chocolate mousse (it’s a great substitute for dairy-based fats! ), so this is not a combination we’re foreign to. However, we’ve yet to see it in bar form. This new bar is part of a partnership between Compartés and California Avocados and made up of white chocolate filled with fresh California avocados and caramelized toast bits. It sounds like the fanciest hipster crunch bar ever, and we’re here for it. You can find the bar starting today for $9.95 at Compartés stores in Los Angeles as well as on the Compartés website. These are a limited edition, though, so don’t dawdle or you may miss out.